Keeper cargo bars always come in handy. The Keeper cargo bar load dividers will help you do away with dreaded cargo shift. These adjustable telescoping and ratcheting cargo bars will make sure your cargo stays in place. Never mourn for your cargo damaged cargo again. The ratcheting cargo bar also stops cargo shift, but also uses ratchet action to put the maximum tension on the full size rubber pads so that even the heaviest loads won't move. Fits in all pickup trucks and SUV's. They use the same silver vein, high endurance, baked-on paint so prolonged exposure to weather will not rust the bar. The ratcheting cargo bar has a patented ratchet action for maximum tension and hold. Rugged construction, Silver vein "baked on" paint is weather and scratch resistant, and 2 Large rubber pads for a secure fit on any surface and it adjusts from 40" to 70" and you can also get this cargo bar with a net that is a full length storage net. 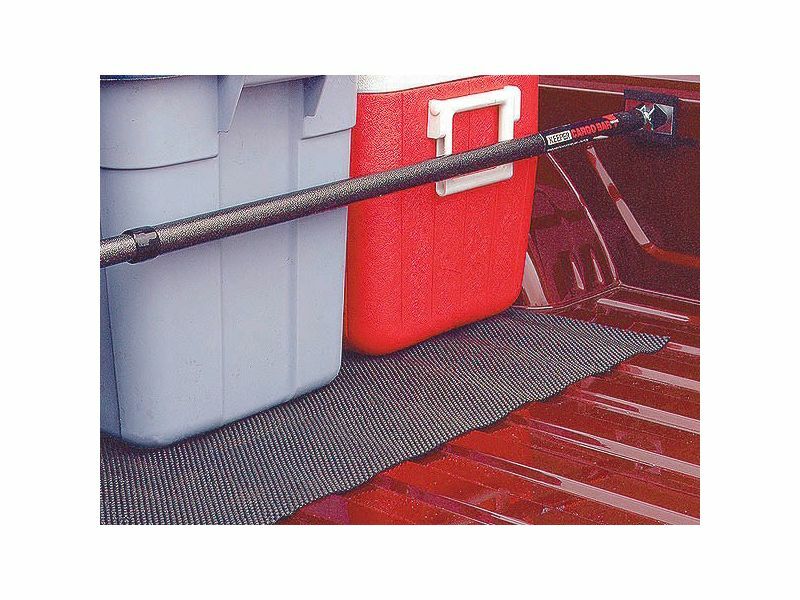 The telescoping cargo bar is easy to use just twist and tighten. The rugged construction silver vein "baked on" paint is weather and scratch resistant, Large rubber pads on each end, grips securely to any style surface and it adjusts from 45" to 70". Made by Keeper Corp.